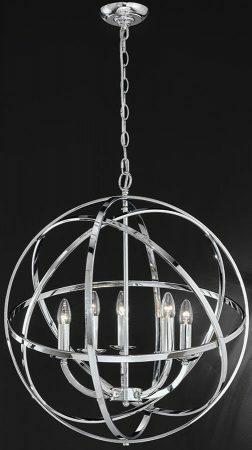 The Franklite Zany 5 light globe ceiling pendant in polished chrome is stunning and features five concentric circles forming a globe. 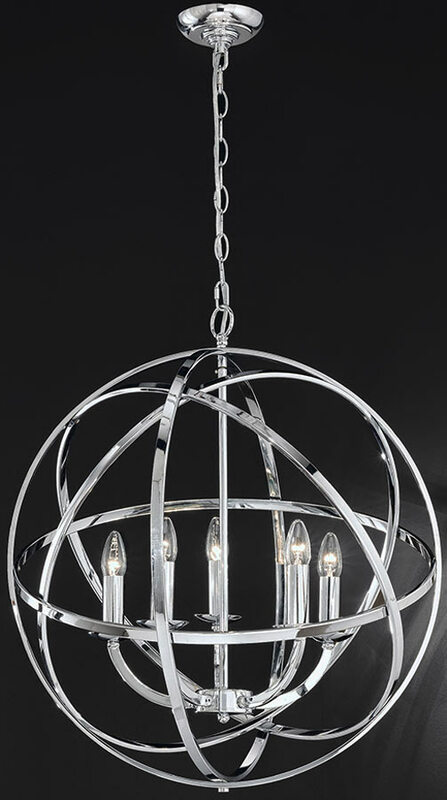 A chrome drop rod hangs through the centre of the globe supporting a candelabra style chandelier, with candle style lights, metal candle pans and chrome candle tubes. A stunning geometric design that would look fantastic in any modern or contemporary setting. Height adjustable at the time of installation, minimum height 780 mm – maximum height 1800 mm, making it suitable for rooms with different ceiling heights. Made by Franklite, trusted for quality lighting.